We would love to share our beautiful lakefront home with you and your family. There is lots of space for having fun and entertaining. There is a boat ramp within 100 yards of our property. Please see our other eleven lakefront homes listed. https://www.vrbo.com/996860Sorry no party groups, no smoking, and no pets. Lakehouse #9 and Lakehouse #10, are right next door to each other. Water Park approx. 9.7 miles. Ha Ha Tonka State Park approx. 3 miles. Osage Beach Shopping Outlet/Movie Theater approx. 17.2 miles. Bridal Cave Tours approx. 8 miles. Lake Valley Golf and Country Club located within 0.7 miles. The Club at Old Kinderhook Golf Course located within 2 miles. 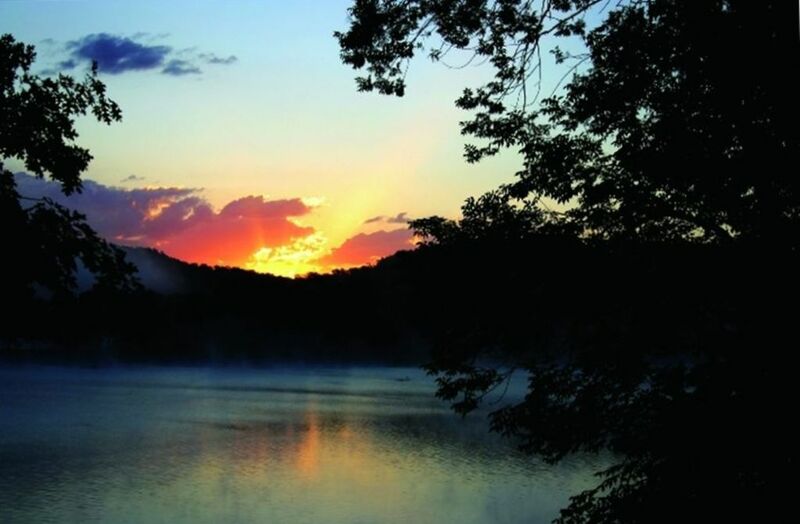 The Lakehouse is located on one acre with 165 feet of lakefront and lots of mature trees. The neighbors houses are also located on large lots, which means no one is on top of each other. (3) Patio is lakefront, Upper deck on main level is a wrap around deck with lakeviews, covered lower deck also w/ lakeviews and stereo speakers. The dock also has stereo speakers. Our family started renting a home in 2017 over the Thanksgiving holiday, so this was our second year. There was 17 of us and we had plenty of space. We really enjoyed our stay at this home. Lots of sleeping space and very well supplied with everything you will need. Lots to do from playing pool, shuffleboard, or just enjoying time together. Would definitely stay again. Thank you for sharing your home with our family. Spacious house in a great location! Beautiful spacious house! Big deck with a gorgeous view! Quiet area on the lake but not far from amenities. Would definitely recommend! Beautiful house! Had everything we could want/need. One of our best family vacations ever! We’d love to return next year! Thanks Terri, Terry, and Tammy for everything!! Our family has been at Lake House #1 for 3 years and we will be back again next year. We love so many things about this house - the dock, the kitchen is open and lots of places for the family to sit, the living room is a great gathering place, and we always get to talk with the owners or daughter a couple of times. We really like to be able to have communication with the Perrott's. Another great vacation with FAMILY. Rented this house with a group of 18 adults from Kansas City for the 4th of July holiday weekend. The house was very clean and had everything we needed. The kitchen and living room was more than big enough for all of us! The decks were perfect for hanging out at night while playing games and listening to music. The dock was great for relaxing in and getting some sun. The dock gets a little rocky but nothing bad! We all said this was one of the best houses we have rented and would rent at this location or one of the other houses this family owns! 5/5 would recommend to any size group! Great large clean house for families! Overall we had a great time. WiFi didn’t work for a day but the owner was helpful in troubleshooting. Lake is perfect for kids! They returned our deposit super quick too. Directions from Camdenton - West on Hwy. 54 to Sunny Slope Drive or Lake Road 54-79 (1st left after crossing the Niangua Bridge). Left on Country Club Shores (which is the 4th left), go to the end, turn left on Bruner Road. Go 1/10 of a mile, turn left on 1st street (no street sign), take an immediate right into our driveway. (Large tan house with red mulch in planting areas). Parrott House, 73 Bruner Drive.